Ah yes, spring is finally here. The forsythia is in bloom and the daffodils are brightening our days with their cheerful presence. Everything is coming back to life. It is miraculous. Underneath our feet is the earth that supports the growth of these plants and all life on earth. Soil, or what can be referred to as earth must be healthy in order for our plants to thrive and grace us with there beauty. Unfortunately, many people have lost the connection with nature and are destroying our soil with chemicals like herbicides, pesticides and insecticides. Then feeding it with toxic fertilizers. The earth is alive, and just like our minds must start out with a healthy foundation in order to grow strong, vibrant and healthy. Compost, using natural alternatives, (and there are many out there) to toxic ones that destroy all of the micronutrients that support the infrastructure of our soil. Like our bodies and minds we too are made up of this soil. 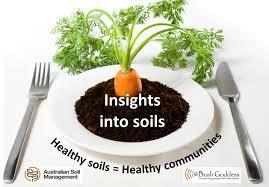 Healthy soil supports a healthy community. Like above so below. Pick up some soil today and feel it, smell it,bless it, thank it and support it. Your life depends on healthy soil. Reconnect with your roots. This entry was posted on Tuesday, April 15th, 2014 at 12:27 pm and is filed under Born Rich Learning System. You can follow any responses to this entry through the RSS 2.0 feed. You can leave a response, or trackback from your own site.